My apologies for not posting much recently. I’ve been traveling for three out of the past four weeks. But…have much material for painting so that is encouraging. As I was flying home from Austin, TX last weekend, my plane happened to go over my own house! This is the first time that has happened. Living here in rural southern Indiana, it was a real treat to see the area from the air…and humbling. Lake Patoka looks so small…and it’s over 9,000 acres! 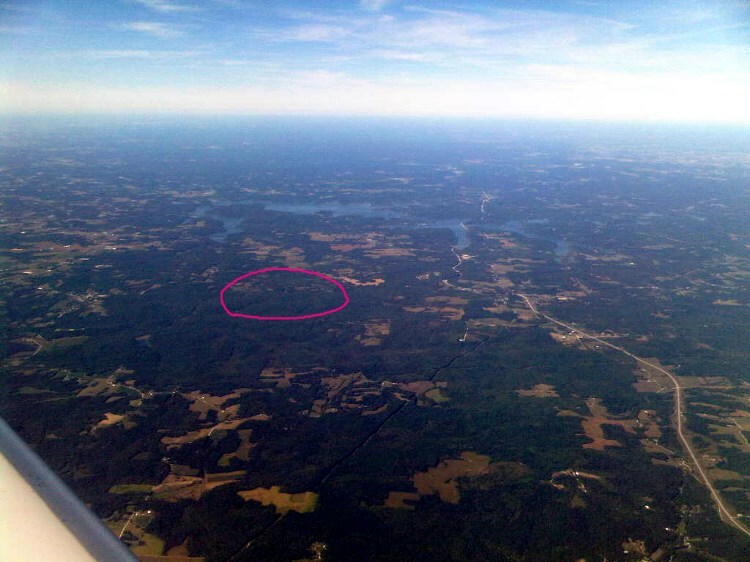 I’ve circled our farm on here. We all look so small from that altitude. And it makes me think that our petty squabbles are small, too. This entry was posted in country living, opinion and tagged country living, kit miracle, old house. Bookmark the permalink.